"Privilege comes with hard work." 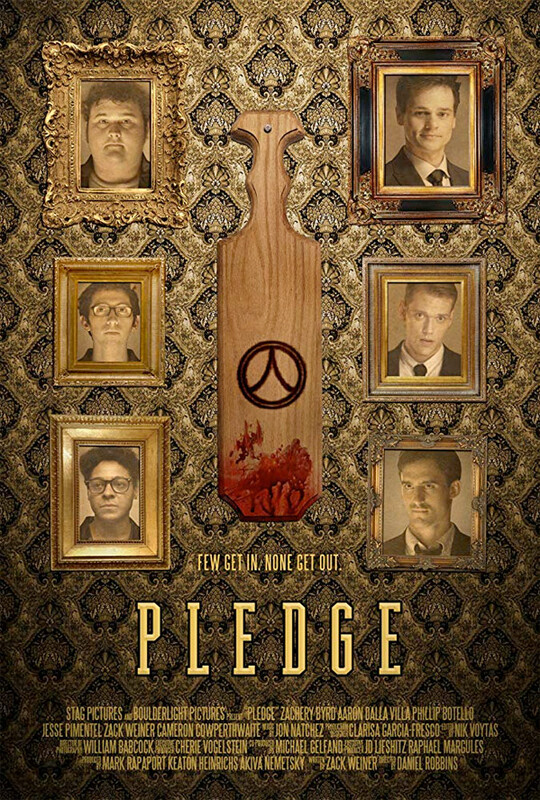 IFC Midnight has debuted the first official trailer for an indie horror thriller titled Pledge, a much more horrifying take on the fraternity ritual of recruiting young university students. This premiered at Fantasia and Screamfest this year, and is hitting theaters at the beginning of January. 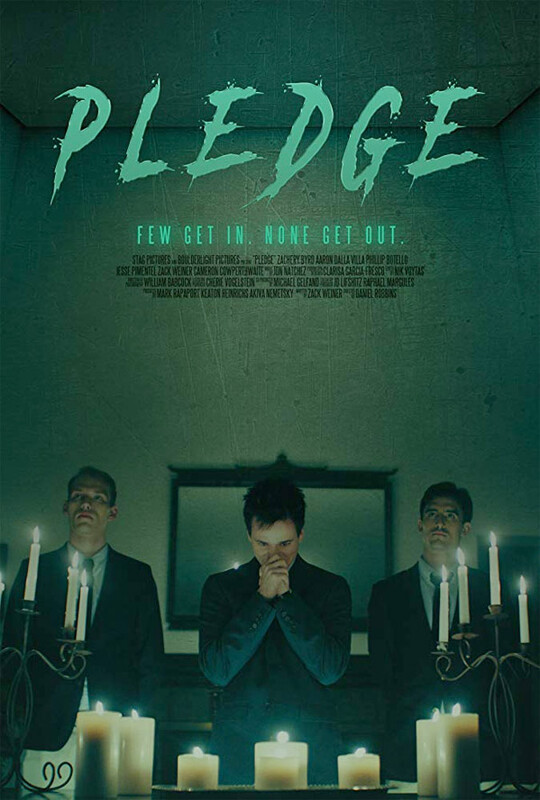 Pledge is about a group of outcast college freshmen who decide to pledge an exclusive fraternity but soon realize there's more at stake than they could have ever imagined. The full cast includes Zachery Byrd, Aaron Dalla Villa, Zachary Weiner, Phillip Andre Botello, Cameron Cowperthwaite, Joe Gallagher, Jesse Pimentel, and Erica Boozer. I don't like fraternities much anyway, but this is taking the idea of hazing to the most extreme - literally turning it into a brutal cult horror film. Crazy frightening. Three nerdy college freshmen, Ethan, David, and Justin, are having a tough time adjusting to college life. Rejected and ridiculed by just about every fraternity on campus, they are prepared to give up all hope. That is, until a girl invites them off campus to a party at a secluded mansion. They are not only invited in, but also treated like princes by the resident brothers. The party is everything they dreamed college would be—beautiful women, drinking, and most importantly, a cool group of guys willing to accept them as one of their own. When the friends are presented with an opportunity to pledge the elite social club, they accept without hesitation. However, as the gruesome, dehumanizing hazing progresses, a more sinister picture of the club emerges. Pledge is directed by filmmaker Daniel Robbins, of the films The Convenient Job and Uncaged previously. The screenplay is written by Zachary Weiner. This premiered at the Fantasia Film Festival this year, and also just played at Screamfest in LA. IFC Midnight will release Pledge in select theaters + on VOD starting January 11th, 2019 right at the beginning of the New Year. Who's interested?